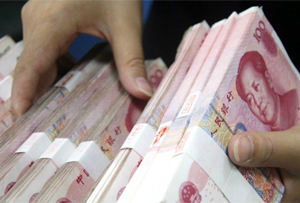 China quells cash crunch fears - but for how long? The People's Bank of China has injected £2.9bn into markets, but the general view is that the resulting calm is temporary. Chinese banks have breathed a general sigh of relief after the People’s Bank of China - the country’s central bank - injected Rmb29bn (£2.9bn) into the financial system through open-market operations, thereby easing fears that the country was headed for its second ‘cash crunch’ in a year. The move sent China’s seven-day bond repurchase rate, which yesterday peaked at 8.8%, plummeting to 4.08%, its steepest decline in more than two years, while the Shanghai Composite Index rose 0.6%. Essentially, this is a repeat (arguably on a much larger scale), of what happened to western finance markets five years ago. Banks have been lending with gay abandon after the Communist Party promised a wave of reforms, pushing leverage up to 220% of GDP (according to the China Securities Journal). Then they realised what was happening and began to hoard cash, charging up to 9% to borrow (the ‘Shibor’ interbank rate has risen 80 points to 5.52% since the beginning of December). So the government’s decision to inject capital into the market has been enough to quell angst (albeit temporarily). Admittedly, Rmb29bn isn’t much, when you compare it with the country’s banking market, which is worth about Rmb100tn, but it was enough to restore confidence and end the panic of the past few days. Still: analysts reckon that while the worst is over, markets will still have problems second-guessing the government. Unlike most other central banks, the PBoC doesn’t schedule decisions on its main policy tool - which makes it hard for markets to work out what it’s going to do next. The next point of concern will be over Chinese new year at the end of January, when companies and depositors will scrabble for access to cash just as banks are trying to shore up their capital. The risk is that unless the PBoC injects even more into its weak banks, it may not be a very happy new year at all.